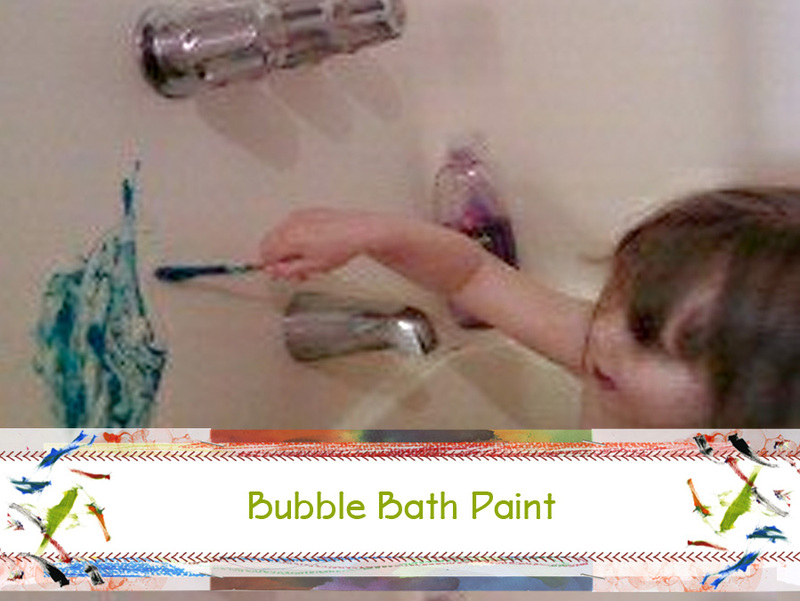 Bubble Bath Finger Paints | Who Are You Calling Crafty? The other day I was cleaning up the bathroom and found some old bath paints that we had bought for the Princess. I ended up throwing the ones I found away because they were really old but that gave me an idea – I could make my own! I Googled: How to make Bath Paint and found the following recipe from The Motherload Website. This will yield a very large batch easily enough for 6 colors in 4 oz containers. Directions: Mix water with the flour until you get a paste. Add bubble bath until you get the thickness you like. Split the mixture into separate containers (4oz) and add food coloring. This works well in the bath tub. They can paint themselves or the walls and it washes right off. It may turn the water the color of the food coloring but it won’t stain the child. The Princess asked for a paint brush opposed to the craft stick I gave her to use, so I highly recommend having spare paint brushed on hand! The hard part was getting her out of the tub because she was having so much fun with her paint!